The two companies have entered into a franchise agreement that provides access to Enterprise’s brands for visitors to Japan, as well as for Japanese residents travelling overseas. 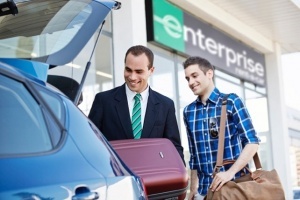 The agreement underscores Enterprise’s commitment to continue its international expansion and offer customers access to Enterprise Rent-A-Car, National Car Rental and Alamo Rent A Car brands anywhere in the world. The new partnership will enable tourists and business travellers to rent cars while visiting Japan. In addition, travellers from Japan heading overseas will be able to rent cars at more than 10,000 locations in 90 countries through Enterprise Holdings’ global network. “As one of the top destinations in Asia, Japan is a vital market for our customers,” said Peter Smith, vice president of global franchising at Enterprise Holdings. The partnership will be launched this month at approximately 80 Nippon Rent-A-Car offices located at Japan’s airports. These rental offices will feature the Enterprise Rent-A-Car, National Car Rental and Alamo Rent A Car brands, as well as the Nippon Rent-A-Car brand, and will offer discounted rental rates. As the partnership progresses over the next few years, both companies will work together to develop additional customer offerings and services. As an established and well-respected car rental company in Japan, Nippon Rent-A-Car has 850 locations that give customers access to at least 42,000 vehicles throughout the country.